With my hands on the side, I looked out into the stars. I was so high that I couldn’t see the cities below me. The night obscured everything. 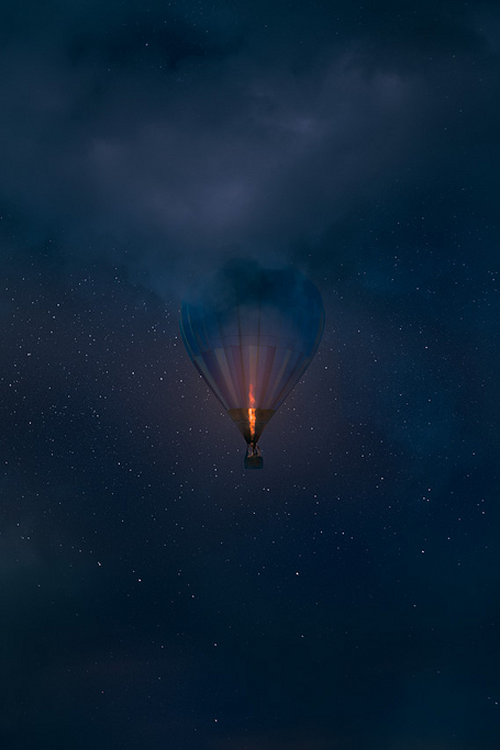 I peered up towards the balloon that was carrying me up and wondered if the flame would accidentally burn the material. It all looked so flimsy, too simple. How was this keeping me up this high? Even when I wanted to get back down on the ground, I couldn’t. I just kept floating… floating… I was the only candle in the sky.